Since 1994, Inverness Homes, has expertly constructed over 4,000 high quality, affordable single family and lifestyle ranch homes. Inverness Homes focuses on your needs and desires in a new home and is happy to modify any home design in its portfolio to meet your requirements. With over 30 unique home designs and a myriad of options, you're sure to find a home to suit your unique taste and personality. Since 1948, Ryan Homes has been recognized as a leader in the homebuilding industry for exceptional quality, award-winning design and unrivaled customer service. Ryan's exceptional attention to quality and detail will ensure your building experience reflects the tranquility of the Carriage Trails surroundings. Come enjoy the carefree lifestyle at The Villas in Carriage Trails, a traditional architectural neighborhood with stone and wood exteriors. Inside and out, these beautifully spacious two and three bedroom maintenance-free condominiums have been meticulously planned. With wide open floor plans, generous windows, a private designer-decorated clubhouse, state of the art fitness center and heated swimming pool, it's easy to relax! The Harrison by Redwood is one of Huber Heights newest and most distinctive apartment home communities. 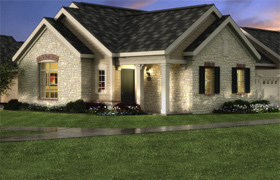 Each apartment home features two bedrooms, two full bathrooms, and a private attached garage. Our efficient design provides optimal peace and quiet - no one lives above or below you. Our apartments are smoke-free and pets are always welcome. 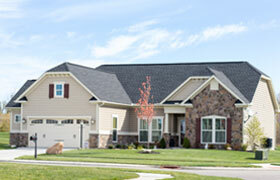 Enjoy the advantages of single-story living and experience a relaxed, simpler lifestyle. Join us at The Harrison, you'll be thrilled to call us home. BRAND NEW LUXURY APARTMENTS COMING IN FALL 2016! Located in the heart of the prestigious master-planned community of Huber Heights, WaterStone at Carriage Trails will deliver a desirable, worry-free lifestyle in a family-friendly environment. Featuring one, two and three bedroom apartment homes with quartz countertops, stainless steel appliances, detached garages, walk-in closets and energy-efficient designs, as a resident you will be surrounded by everything you love in a premiere location central to your every need. We invite you to live luxuriously...relax in the heated resort-style swimming pool, catch up with friends in the cyber cafe, prepare a tasty meal in the outdoor grilling area, enjoy family movie night in the media room, take your furry family member for a stroll through the private dog park, stay active in our fitness center, or relax in the yoga room. Boasting state recognized Bethel schools, WaterStone at Carriage Trails is just minutes from activities and entertainment for the whole family: the YMCA of Greater Dayton, Kroger Aquatic Center, and Carriage Trails Reserve Metro Park. 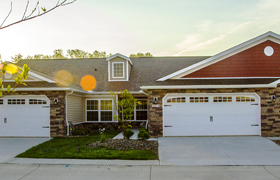 This modern, authentic community is also conveniently located to some of Dayton's largest employers: Wright Patterson Air Force Base, Proctor & Gamble, Wright State University, Speedway World Headquarters and Dayton International airport. 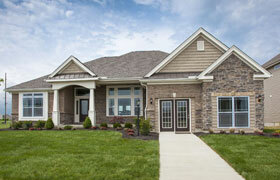 Enjoy the best that Huber Heights has to offer - contact us to reserve your brand new home today! 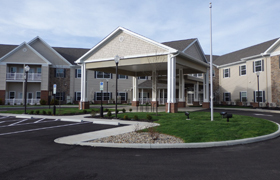 Carriage Trails Welcomes Danbury Senior Living. 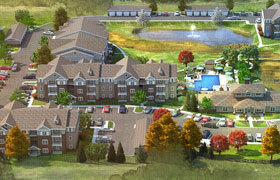 Offering resort-style Independent Living, Assisted Living and a Memory Care Neighborhood. Enhancing lives through serving others by creating a vibrant, caring, and exceptional community. Danbury offers senior living at its finest at 11 locations throughout North Central and Northeast Ohio. All of our communities offer the comfort, amenities, and professional service you deserve in beautiful settings convenient to shopping, parks, restaurants, and historical sites. It's a good amount of house for the money we spent, so we're happy.